There are tons of ABC learning applications on the market, so it can be overwhelming when you need to choose between them. I have only tried 5-10 or so that are unique and captivating enough use in the classroom (including ones I have previously reviewed), and this one definitely is in my top 10. 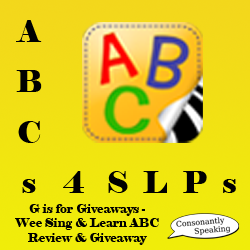 Continue reading to learn more about Wee Sing & Learn ABC and for a giveaway of the application! 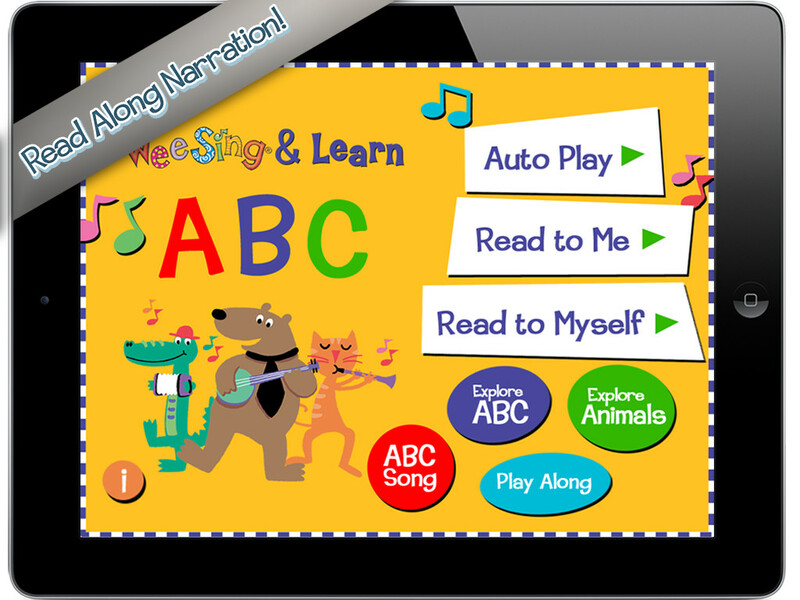 The Main Page of this application has many different buttons on it: Auto Play, Read to Me, Read to Myself, Explore ABC, Explore Animals, ABC Song, Play Along, and Information. The Main Page also has children singing the alphabet song in the background. Pressing the "i" button will bring you to the "Information" page of the application. On this menu, you can browse more books, contact support, subscribe to the developer's newsletter, tell a friend, and learn about iStoryTime and Wee Sing. 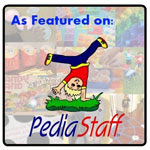 Auto Play - The book, words, animations, and songs for each letter will play on their own. The pages will turn themselves and the words on each page will be highlighted as they are stated. Read to Me - The words on each page will be stated and highlighted as well as the animations and songs, but the user has control of turning the pages and pressing the other word buttons. Read Myself - The user has control over playing the animations, pressing the other word buttons, and turning the pages. The user must, however, read each page on his or her own. Pressing the "Explore ABC" button brings the user to a page with buttons for each letter of the alphabet in capital letters. When the user presses on a letter, its letter name will be stated aloud and musical notes will appear on the screen. 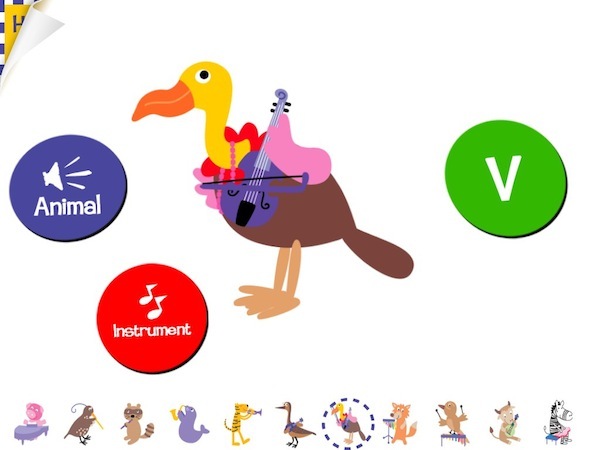 The user can choose an animal on the bottom of the application to learn about their name, associated letter, and instrument. Then, the user can press on the button that states "Instrument" to hear the instruments' sound, "Animal" to hear the animals' sound, or press the letter to hear the sentence associated with the animal/instrument/letter. 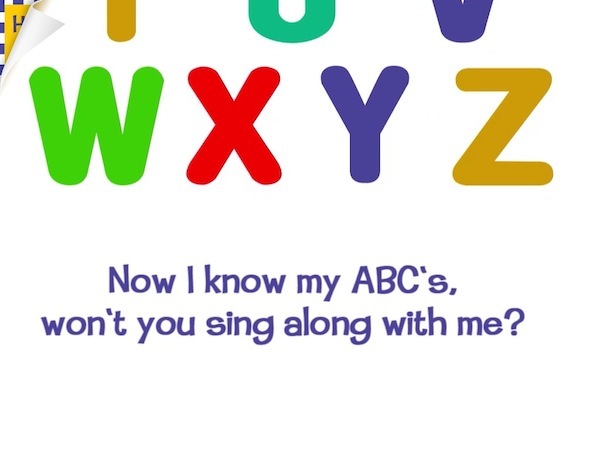 Pressing the "ABC Song" button will play the alphabet song twice in two different keys. An animation will play along with the song with musical notes appearing over each letter as it is sung. When the words in the sentence at the end are stated, the words will bounce as they are sung. 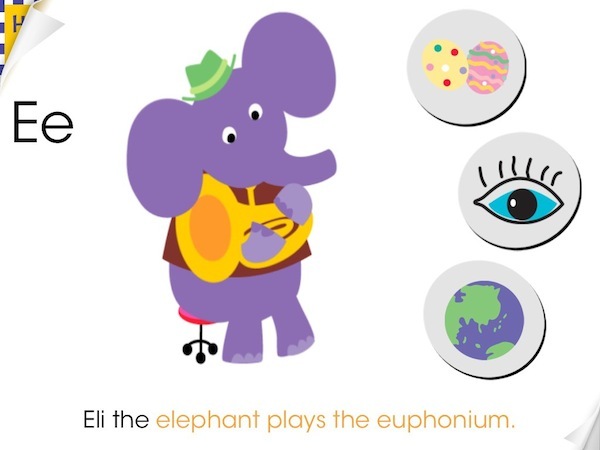 To play along with the alphabet song, press the "Go" button on the "Play Along" page. Then, as the background music plays, press each letter along with the song. I love that there are 5 different ways to explore the alphabet on this application! It is great that in most portions of the application, letters/sentences are both stated and sang. You can choose between three different ways to read the story depending on the users' reading skills. Each letter is paired with an animal, instrument, and sentence with alliteration. In addition, there are three additional words that begin with a given manner on the side of each page. I know that Wee Sing was originally a songbook, so I am not sure how much the app can be adapted update-wise. However, it would be great to have uppercase and lowercase letters. On the "Read to Myself" portion of the application, I would like it if a user were to tap on the words in the sentence, if the individual word would be read aloud in case there is a particular word the child cannot read. RtI - Children can learn letter identification through using this application. They can also learn beginning letter sounds through the application. Familiar Sequences/Song - Children can learn the alphabet in order as well as the alphabet song by using this application. Articulation - Choose the pages for the sounds in which the child is working on. Then, have the child read the sentence and the words on the side of the page. 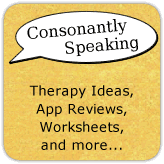 You can also have children state as many words as they can think of that begin with their sound or have them use the words on the page in their own sentences. Fluency/Voice - Have the child read the sentences on the pages of the application using fluency and vocal strategies. Auditory Bombardment - Play the application to have the child hear the alphabet song, letters, and words with the beginning letter sounds. Auditory Awareness - Press on the animal or instrument buttons to hear the sound of each and have the child state the associated word. Writing - Have children write sentences using the words on the side of each page of the book. Wee Sing & Learn ABC is available for the iPod Touch, iPhone, and iPad for $2.99.